Rich Asuncion's husband Benj Mudie: "Proud of this woman..."
Rich Asuncion and Benj Mudie's long wait is finally over. Just before midnight of December 4, 2018, the couple welcomed their little girl Bela. It was Benj who first broke the good news. 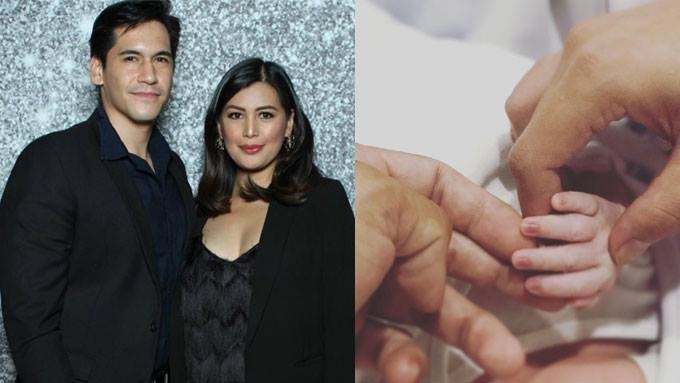 Meanwhile, the Kapuso actress posted a photo of her family’s hands, and simply put a heart emoji as her caption. Prior to giving birth, Rich happily shared how the professional rugby player has been a great support throughout her pregnancy. In another post, she said, “It has been one hell of a ride and we are now waiting and waiting because it could be anytime soon. “People say I will miss being pregnant but I honestly cannot say that now hehe.